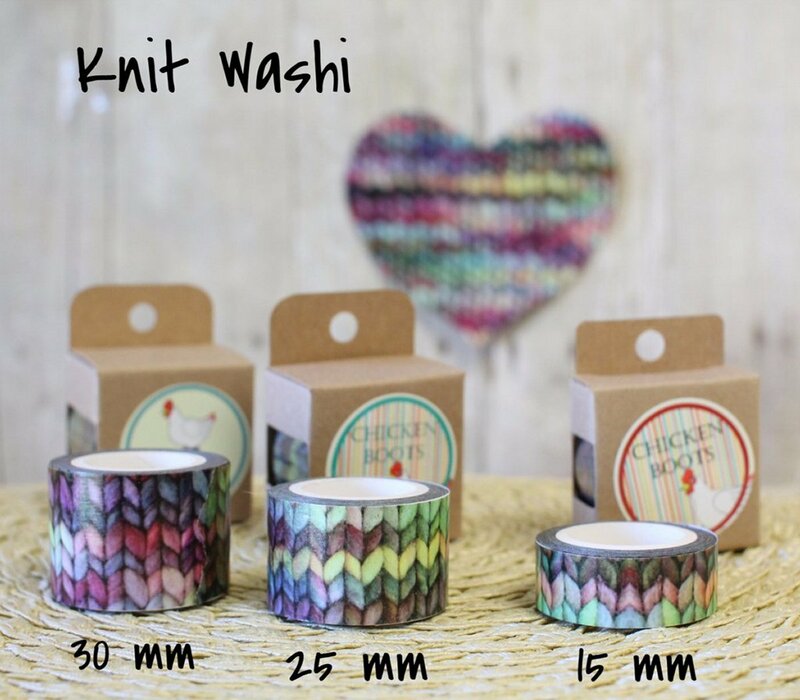 Chicken Boots Washi Tape features their popular knit print. It's useful for all sorts of fun projects, like decorating your mail, journals, scrapbooks, knit gifts, and notes to family. 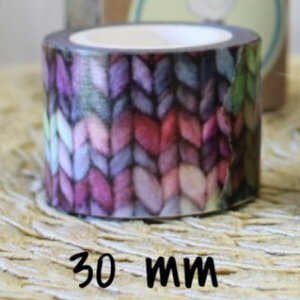 Regarded as eco- friendly and biodegradeable, Washi Tape is frequently made from the bark of trees that are native to Japan, like the paper mulberry, the bark of the gampi tree, or the mitsumata shrub. It's also made with bamboo, rice and wheat. It doesn't leave a sticky residue but the longer you leave it the harder it will be to remove!